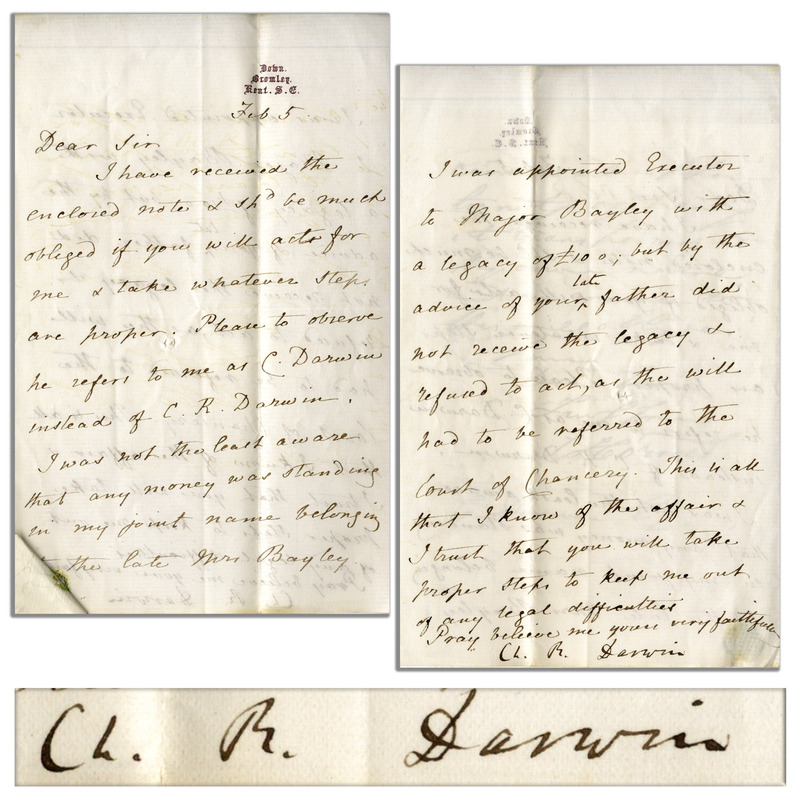 Charles Darwin letter signed ''Ch. R. Darwin'' regarding a potential legal dispute. Darwin writes to his lawyer Thomas Salt on 5 February 1868 regarding monies another individual, by the name of Horner, claims that Darwin owes. 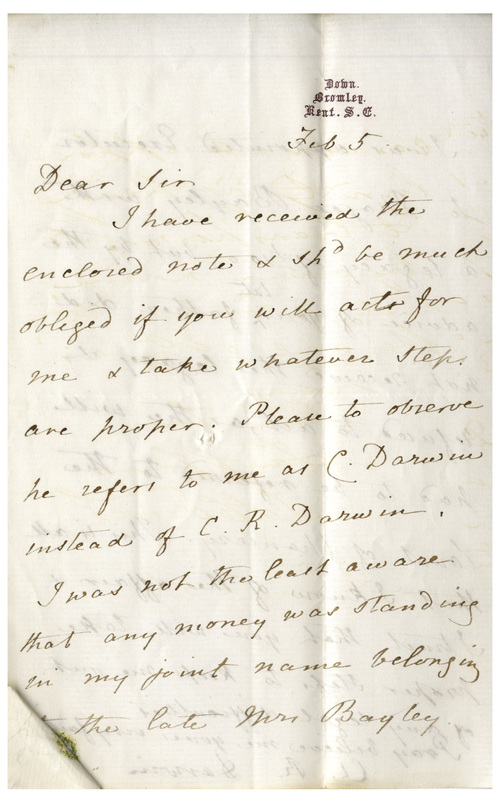 On Darwin's Down House stationery, letter reads in full, ''I have received the enclosed note [included] & shd be much obliged if you will act for me & take whatever steps are proper. Please to observe he refers to me as C. Darwin instead of C.R. Darwin. I was not the least aware that any money was standing in my joint name belonging to the late Mrs. Bayley. 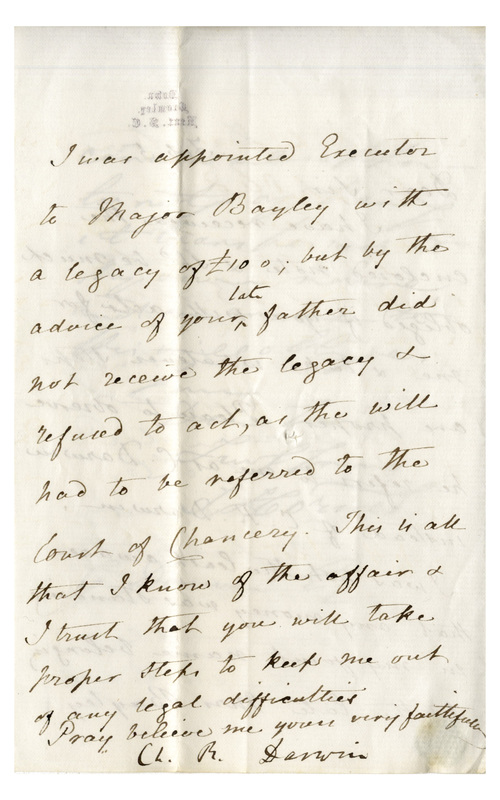 I was appointed Executor to Major Bayley with a legacy of 100, but by the advice of your late father did not receive the legacy & refused to act, as the will had to be referred to the Court of Chancery. This is all that I know of the affair & I trust that you will take proper steps to keep me out of any legal difficulties. Pray believe me yours very faithfully / [signed] Ch. R. Darwin''. 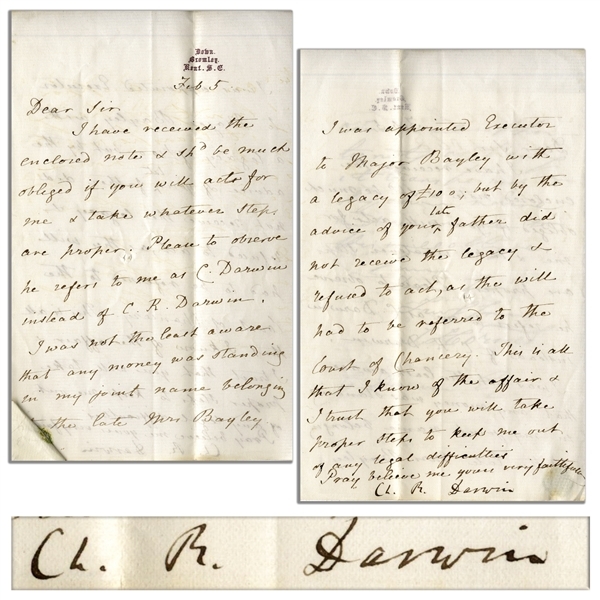 Two-page letter measures 5'' x 8'', with Horner's letter attached to first page. Folds, and small hole to middle of page, not affecting text, overall very good plus condition.